KEMP, Sir ALBERT EDWARD, businessman and politician; b. 11 Aug. 1858 near Clarenceville (Saint-Georges-de-Clarenceville), Lower Canada, son of Robert Kemp and Sarah Ann Bush, widow of John Derick; m. first 21 Aug. 1879 Celia Amanda Wilson in Montreal, and they had three daughters; m. secondly 3 March 1925, in Toronto, Virginia Norton, widow of Norman Copping, and they had a daughter; d. 12 Aug. 1929 near Bobcaygeon, Ont. Edward Kemp’s father was an immigrant from Yorkshire, England; his mother was Canadian-born. Raised near the Eastern Townships village of Clarenceville, where he attended school, Edward later studied at the academy in Lacolle, excelling in mathematics, but he did not finish. His real interest was business; at 16 he sought a share of his father’s mercantile and farming ventures. Rebuffed, he left home, according to a later account, “somewhat surreptitiously one morning while the family was preparing for prayers.” He headed to Montreal and took various jobs until he found employment as a “general servant” in a hardware store. Recognized for his arithmetical aptitude, he eagerly accepted an offer to be its bookkeeper and he spent four years learning the business methods that would serve him well in later life. At 20 Kemp had two ambitions: to start his own business and to marry his Montreal sweetheart. But Celia Wilson’s father was cool to the match because Kemp was young and unproven in the world of enterprise. Celia persuaded him to write to her suitor, explaining his concerns. Kemp replied immediately, hoping to allay the misgivings. The approach worked, and on 31 Jan. 1879 Kemp presented Celia with an engagement ring. A month later, he and a partner opened a manufacturing and retailing shop on St Catherine Street (Rue Sainte-Catherine), offering stoves and ranges and tin, japanned, and galvanized-iron wares. Celia and Edward were married in August at Wesley Congregational Church. The support of her family and in-laws was critical to the success of her marriage to a man driven by entrepreneurial ambition. The toll was heavy. Once, not finding Edward in his shop on a visit, Celia scribbled: “Couldn’t you let me see you for a few moments before Sunday. You have no idea how lonesome I seem.” The shop was successful but Kemp wanted more. In 1885 he and Celia moved to Toronto, where he entered into partnership with Thomas McDonald, owner of the struggling Dominion Tin and Stamping Works at Gerrard and River streets. His business skill and bookkeeper’s eye for efficiencies turned the operation around. 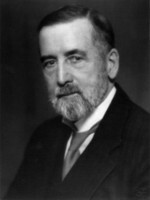 Also productive were his efforts to cultivate a network of friends and contacts through the Board of Trade, the Canadian Manufacturers’ Association, clubs, and the British Empire League, where he found like-minded young men who were connected to some of the city’s largest banks, law firms, manufacturers, and merchants. Kemp’s acumen and partnership with William had been primary factors in the prosperity of Kemp Manufacturing. A healthy dose of tariff protection had also contributed. Kemp eagerly endorsed the Conservative government’s National Policy but believed it could be refined. 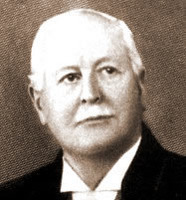 With an introduction from the CMA’s secretary, in 1889 he tried to get customs minister Mackenzie Bowell* to reduce the tariff on iron, his firm’s raw material. He failed but did not give up. After the death of Prime Minister Sir John A. Macdonald*, he vigorously supported the Tories through their troubled times in the 1890s, all the while promoting stronger protection. 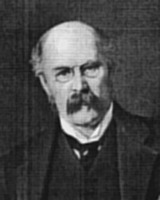 By 1900 Kemp was a recognized figure among the “better elements” of Toronto society. 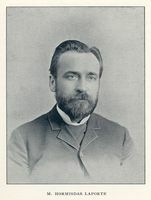 A member of Sherbourne Street Methodist Church, along with other prominent businessmen, he was president of the CMA in 1895 and 1896, and of the Board of Trade in 1899 and 1900. He continued to nurture friendships with top bankers and was doing important work for the Victorian Order of Nurses. As well, his wealth and influence were prized assets for the tattered Conservative party during the early years of Liberal government under Wilfrid Laurier*. 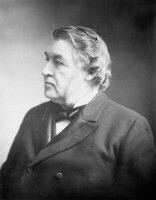 Amid demands to rebuild the Tory machine, lamentations over Laurier’s response to the South African War, Liberal disposition to free trade, and pressure from Conservative leader Sir Charles Tupper*, he left Kemp Manufacturing in William’s care and launched his own political career, his sights set on the federal election of November 1900. Toronto lawyer Edmund James Bristol, an executive member of the Ontario Conservative Association, secured his nomination in Toronto East. Kemp won. Years later the Globe said of him that in the House of Commons he was "never inclined to overwork Hansard." But he did speak on major issues, such as the budget, the prospects of an imperial preferential tariff, the settlement of the war, and transcontinental railways. 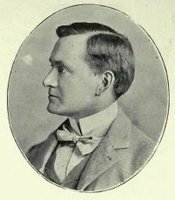 Robert Laird Borden*, the Halifax lawyer who had succeeded Tupper in 1901, liked Kemp's steady disposition, his wealth and status in Toronto's Tory circles, and his support for Borden's own efforts to reform the Conservative party. 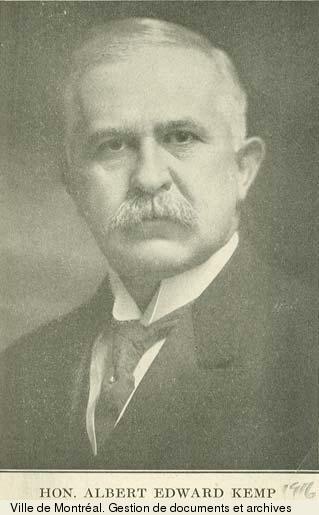 Borden also admired the broad, national perspective displayed by Kemp – and by other progressive business figures whom he wanted to bring into federal Conservatism. Kemp extolled Canada's business opportunities and argued that economic prosperity would promote harmony between classes and cultures. Mindful perhaps of the absence of strong Conservative lieutenants in Quebec, he emphasized the mutual interests of the French and the English in public life, encouraged English Canadians to take a sanguine view of Quebec, and reproached "mischievous" politicians who inflamed tension for their own ends. "The best way . . . to draw the English and French speaking elements nearer each other," he would argue in a letter to Olivar Asselin* in 1905, "is to cease . . . discussing the question." On the pragmatic level in Kemp’s riding, constituents sought work from the wealthy mp and party members solicited favours. In the election of 1904 Kemp improved his margin of victory. Still, his relationship with ordinary voters was distant, and he had again depended on his party’s elite to secure his nomination. A serious man of prideful bearing, he had no gift for the common touch; meeting constituents was not an opportunity for Kemp but a necessary chore. He never liked glad-handing, though only a few penetrative minds discerned the truth behind his handshake. Kemp threw himself into reorganizing the Ontario machine. 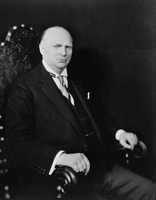 He used his influence and business connections to rally opposition to Laurier’s naval policy and to reciprocity with the United States. While making the usual allegations that the Liberals were running a corrupt regime, he and a supportive Premier Sir James Pliny Whitney* recruited wealthy Ontario Liberals opposed to reciprocity and helped drive Laurier from power in September 1911. 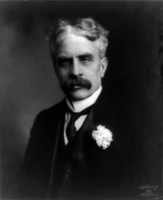 Borden, acutely aware of Kemp’s role in the campaign, made him a minister without portfolio in his first cabinet. Kemp’s mandate was to investigate government purchasing. He discovered that there was no common system and that expenditures were being made in uncontrolled and sometimes unexplained ways. 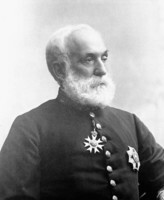 At the riding level in Toronto, Kemp developed a business-like process to distribute the spoils of electoral success. Constituents’ requests were screened by a committee which then forwarded a list of potential benefactors to Kemp and other local mps who had jobs to dispense in the Post Office and other departments. By the outbreak of World War I, Kemp had added a thorough knowledge of patronage and government expenditure to his managerial skills. The war created huge demands for material to support, by the end, over 400,000 Canadian soldiers at the front. War appropriations during the conflict totalled more than $1 billion. In the early months of the conflict most of the money was spent by Colonel Samuel Hughes, the flamboyant minister of militia and defence. By April 1915 his department was in chaos, its Militia Council unconsulted and Hughes often absent and making commitments with overweening confidence and contempt for orderly procedure. Rumours of mismanaged contracts for munitions and other material spread like wildfire; two Tory mps were dismissed for “gross profiteering” and investigatory commissions were set up. In May, Borden removed Hughes from his responsibilities for spending war allocations, placed them in the hands of deputy minister Eugène Fiset*, and, to clean up the mess, appointed Kemp chair of the newly formed War Purchasing Commission. It was a bad time for Kemp – he and Celia had just lost a grandchild in the sinking of the Lusitania – but it was a challenge he could not refuse. His talents and nature were the exact opposite of Hughes’s and he disliked the brash politics of favouritism that Hughes had practised with such flourish. Under Kemp’s leadership the commission shifted expenditure away from what was good for the party to what was good for the war effort. A systematic tendering process was established, contracts were issued to proven suppliers, and patronage was restricted to contractors who could deliver quality material. Behind the scenes William Kemp offered technical expertise and kept his eye on affairs in Toronto East. As more and more soldiers went overseas, and as war appropriations grew and grew again, from $166 million in the fiscal year 1915-16 to $306 million in 1916-17, much of the work had to be delegated to Kemp’s co-commissioners, George Frederick Galt and Hormisdas Laporte*, and their staff. Still, for Kemp the burden was heavy: it left him seriously ill by May 1916 and forced him into a period of recovery. Kemp turned to solving the problems, counselling patience, delegating duties to the ablest men he could find, and ending the one-man show that had been Hughes’s downfall at home and then overseas. Dismayed as he was, he had some sympathy for Sir Sam and no time for recriminations. He reported that he had admonished a senior officer and bitter critic of Hughes to “have a little more regard for those whose honesty of purpose, although they may have made some mistakes, was no less sincere than his own.” At the same time Kemp was creating a professional, efficient operation to implement the day-to-day administrative routine he had designed. For his service he was made a kcmg; announced in the king’s New Year’s honours of 1917, it was conferred on 13 Feb. 1917. The following month he announced a “Canadian Defence Force,” to increase the militia ranks for home defence in order to free up troops for overseas service. The plan was largely a failure; “voluntary enlistment has about reached its limit,” he confessed to Borden in April. Like many of his cabinet colleagues, he came to realize that conscription was inevitable. His tenure in Militia and Defence was short-lived. In October he became minister of overseas military forces in Borden’s new Union government. He replaced Perley, who had started to build a sound administration but wanted to resume his post as high commissioner. In the general election in December, Kemp won handily and the Unionists returned to power on a conscription platform, which deeply divided the nation. Kemp’s work in England, where he arrived in January 1918, was the second part of his reform mission. Close to field operations and British headquarters, he was besieged by Tories and others wanting assistance for friends and family in the war. Despite such distractions, he concentrated on rebuilding relations with the British that Hughes had nearly destroyed. Prime Minister David Lloyd George knew that the British armies needed more soldiers from the dominion. Unlike his predecessor, Herbert Henry Asquith, he recognized that in return the Canadians, in Ottawa and in London, would have to have a greater share in wartime decision making. That spring Kemp joined Borden at the meetings of the imperial war cabinet. As well, he carried on the managerial reform of the overseas forces. He formed, in April, and chaired the Overseas Military Council, which was similar to the Militia Council in Ottawa, and imposed his authority over the administrative control of the CEF. As part of this change, the position of general officer commanding in England was abolished and Lieutenant-General Sir Richard Ernest William Turner* assumed the new post of chief of general staff. 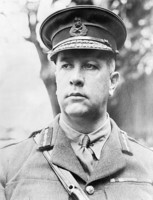 In addition, Kemp persuaded the War Office to establish, in July, a Canadian section at General Headquarters in France that would oversee the troops and serve as the link between the Canadian Corps and the overseas ministry. This section was headed by Brigadier-General John Fletcher Leopold Embury*. In May, persuaded by the advice of Turner and other senior officers and reversing his earlier opposition, Kemp had lent his support to the formation of the Canadian Air Force. It was just being organized when fighting stopped in November 1918 and it would be disbanded the following year. With the war’s end, demobilizing Canada’s troops and getting them home became Kemp’s top priority. Because the armistice had come unexpectedly, most of the planning to move close to half a million soldiers, in the midst of a huge shortage of shipping, posed an enormous challenge. It kept Kemp in England until 1920, when the overseas ministry was terminated. His long service as the government’s “repairman” of wartime administration was over. Kemp was then in his sixties, exhausted by a series of demanding assignments. 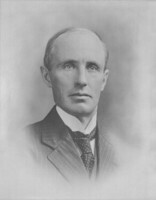 He nonetheless served out his term, including time, from July 1920, as a minister without portfolio in the short-lived government of Arthur Meighen*. In August 1920, in a final gesture of personal wartime abstention, he returned to the government cheques totalling more than $25,000, his ministerial salary during the war. Appointed to the Senate in November 1921, he did not run in December’s general election. 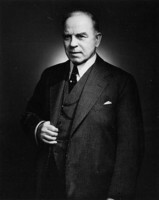 The contest signalled a new era in politics: William Lyon Mackenzie King*, the Liberal leader since 1919, won the election. Kemp was now the grand old man of Ontario Conservative politics. 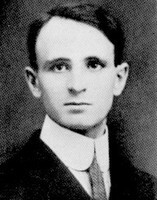 He acted as one of Meighen’s advisers and returned to work at Sheet Metal Products. It too was a different place, his trusted brother having passed away in 1919. At Castle Frank, his palatial home overlooking the Don River valley, Kemp found comfort in his wife’s companionship, but Celia died on 20 Jan. 1924 following surgery. A year later Kemp quietly married Virginia Copping, a young widow with two daughters. He kept up his interest in Tory politics, made the occasional speech, retained some directorships, and continued his support of charitable causes, including church work and the Young Men’s Christian Association. In October 1927 Sheet Metal Products merged with McClary Manufacturing [see John McClary] and Thomas Davidson Manufacturing Company Limited of Montreal to form General Steel Wares Limited, a combination that reputedly netted Kemp more than $3 million. On 11 Aug. 1929 he celebrated his birthday with a round of golf, a favourite pastime, on the private course of Missisquoi, his summer home on Pigeon Lake near Bobcaygeon. Early the next morning he died, according to the press, of an attack of acute indigestion. Buried in Mount Pleasant Cemetery in Toronto, he left an estate worth more than $7,700,000. 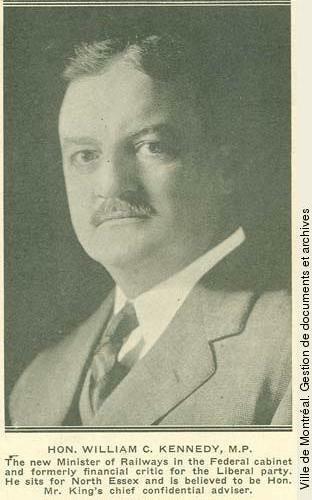 Kemp had begun his career as an ambitious businessman whose accounting and managerial expertise turned his partnership in Montreal to success. Repetition of this pattern in Toronto opened doors to the homes and friendships of the cloistered, often smug business and political elites of late colonial Toronto. At the dawn of the new century Kemp won a seat in parliament and soon found himself a leader in the Conservative party in Ontario. His service and pocketbook, many acknowledged, kept the Ontario wing healthy in the lean years of the Laurier era. 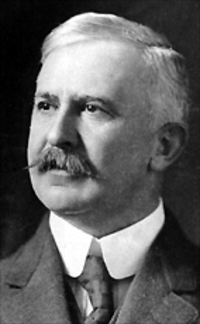 In 1911 Kemp joined George Perley as Borden’s choices for cabinet. Both were wealthy businessmen, skilled administrators with more talent for the management of affairs than for rough-and-tumble constituency politics. 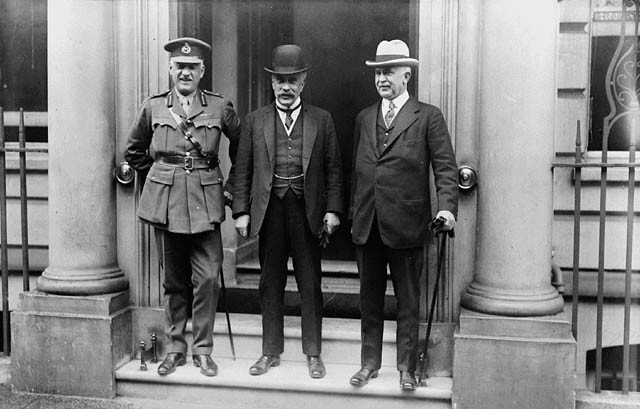 Both carried out personal assignments for the prime minister before and during the Great War. One account said of Kemp that he was “seldom on parade, but seldom inactive and never inefficient.” Kemp himself once attributed his success to energy and application. In effect, he was the ex officio minister of efficiency in Borden’s governments. ANQ-E, CE502-S75, 21 mai 1856; ANQ-M, CE601-S150, 21 août 1879. AO, F 68, MU 284, box 2; RG 8-5, container 5; RG 22-305, no.62898. LAC, MG 27, II, D9. TRL, SC, Biog. scrapbooks (copy at AO). Financial Post (Toronto), 27 June 1924. Globe, 29 Dec. 1915, 24 Nov. 1916. Toronto Daily Star, 21 Jan. 1924, 4 March 1925, 12 Aug. 1929. R. C. Brown, Robert Laird Borden: a biography (2v., Toronto, 1975-80). R. C. Brown and Ramsay Cook, Canada, 1896-1921: a nation transformed (Toronto, 1974). Can., Ministry of Overseas Military Forces, Report (London, 1918); Parl., Debates, 19 March 1901; 15, 23 April 1902; 19 April, 19 Aug. 1903. Canadian annual rev. CPG, 1918. Directory, Toronto, 1886-1929. John English, The decline of politics: the Conservatives and the party system, 1901-20 (Toronto, 1977). Middleton, Municipality of Toronto, vol.2: 1-2, 38-39. Desmond Morton, Canada and war: a military and political history (Toronto, 1981). Desmond Morton and J. L. Granatstein, Marching to Armageddon: Canadians and the Great War, 1914-1919 (Toronto, 1989). The official history of the Royal Canadian Air Force (3v. to date, [Toronto and Ottawa, 1980- ]), vol.1 (S. F. Wise, Canadian airmen and the First World War, 1980). Standard dict. of Canadian biog. (Roberts and Tunnell), vol.1. John A. Turley-Ewart and Robert Craig Brown, “KEMP, Sir ALBERT EDWARD,” in Dictionary of Canadian Biography, vol. 15, University of Toronto/Université Laval, 2003–, accessed April 22, 2019, http://www.biographi.ca/en/bio/kemp_albert_edward_15E.html.